I walked from work to Liverpool’s Anglican cathedral to see Laura Belém’s Temple of a Thousand Bells which is in the Oratory in St James’ Cemetary as part of the Liverpool Biennial 2010. 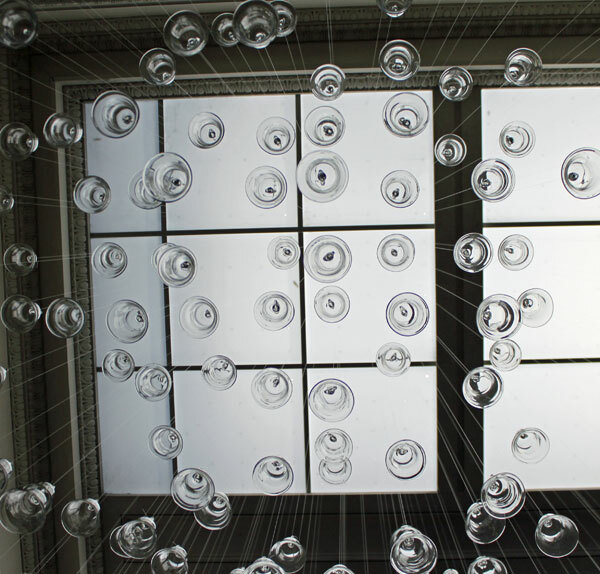 The work consists of a thousand hand-blown glass bells suspended on nylon string through a gently glowing ceiling. 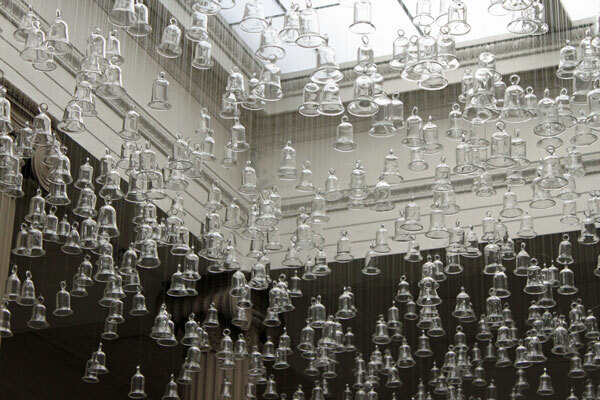 An 8 minute polyphonic piece of music by Fernando Rocha including many different bell sounds fills the room. Really beautiful work. I just wish I’d had more than fifteen minutes to experience it. Pull the other one it has bells on!